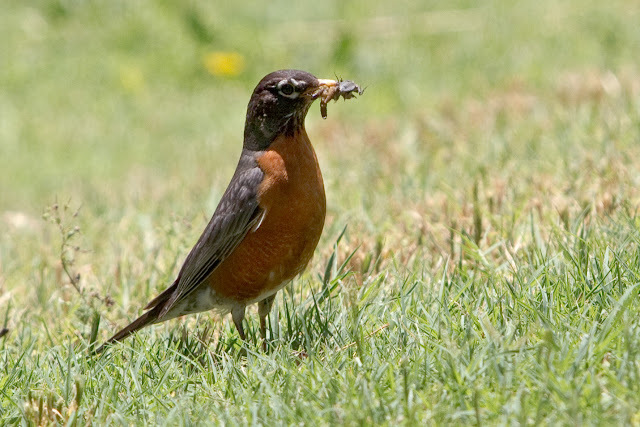 TOMORROW -- Early Bird Deadline for Ft Wayne and DC Research Trips ... did you get the worm? It’s not too late to save $150 (Fort Wayne) or $200 (DC). And, if you are an NGS member, this is savings on top of the $150 - $200, respectively, that you are already saving on these wonderful research trips! Don’t miss out on these two trips – learn more via Fort Wayne NGS Research Trip Still Has Openings -- And not for long! and Washington DC NGS Research Trip Still Has Openings -- And not for long! 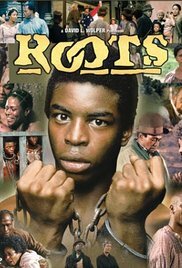 Roots … an iconic mini-series back in 1977 and today! Catch the new version starting tonight! Roots … an iconic mini-series back in 1977 and today! I want to make sure you are aware that the mini-series Roots has been re-produced and will be airing on four consecutive nights, starting tonight, Memorial Day, at 9 p.m. ET/PT and 8 p.m. Central. It will be simulcast on A&E, Lifetime, and History. Roots was a ground-breaking book by Alex Haley in 1976 and an even more powerful television event in 1977. Roots made clear to anyone who did not know it already how affecting family history can be. It also brought a full sense of the inhumanity of slavery into American living rooms 112 years after the end of the Civil War. In my case, I had started looking into my family history in 1973 when my father's great aunt gave him a family Bible and a dozen pages of family history notes. When the book Roots came out, I devoured it, and I watched every minute of the mini-series. For me, Roots is not just a family history event, it's a family event, the dramatized story of an American trauma that is still working its way toward redemption. I hope you will consider watching the re-made Roots with your family, renewing your interest in your own roots, and considering what America has been and is becoming. In an age of prejudice, African Americans were often challenged as they travelled. Because of Jim Crow laws, sundown laws, and other restrictive legislation, along with the possibility of physical danger, in 1936, Victor Green began publishing a guide to help African American travelers. He identified “safe” places where African American travelers could have a meal, spend the night, get their automobile serviced or take advantage of other services. The Washington Post article The forgotten way African Americans stayed safe in a racist America discusses the history of this book and gives some interesting insight into the time period. You can find online, at the New York Public Library (NYPL), a collection of 21 volumes of The Green Book covering from 1937-1964. As part of a related project, the NYPL Labs created an interactive map where you can navigate a trip using The Green Book travel guide content. I looked at a trip in 1947 from Raleigh, NC, to Alexandria, VA. It was interesting that the destination became Johnson’s Jr. Hotel, 1509 Vermont Ave, N.W. (which is actually in Washington, DC). Since my trip was just under 250 miles, it didn’t look for a restaurant. So, I extended my start place to Atlanta, GA. Interestingly, it took me through West Virginia, so I could dine at a restaurant in St.
Albans, WV. Apparently, this is because neither NC nor VA were apparently hospitable to African American travelers at the time in 1947. By the 1956 book, this had changed dramatically with many NC and VA options listed. I was then able to dine in NC and my lodgings were actually located in Alexandria, VA.
Do play around with this navigation tool to get a perspective on how limited the travel options were in 1947, and how improved, though not great, they were in 1956. Besides the obvious of limited options, what most struck you as you planned your trip, as an African-American in 1947 or 1956? In a country as diverse as the U.S., there are so many ethnicities to be celebrated. I almost let May end without mentioning two of these. The Library of Congress, National Archives and Records Administration, National Endowment for the Humanities, National Gallery of Art, National Park Service, Smithsonian Institution and United States Holocaust Memorial Museum pay tribute to the generations of Jewish Americans and Asian and Pacific Islanders who have enriched America’s history and are instrumental in its future success. They have updated the websites where these two heritages are celebrated. Each website includes many resources that you will want to check out, especially the Exhibits and Collections tabs which includes mentions of resources located at each repository previously named as well as articles, research guides, collection overviews and more. Now that I said that, I also really enjoyed the images (I am always drawn to visual elements). Then, I also checked out the “For Teachers” tab and that had some really neat stuff also. You know what, just check out both sites since I couldn’t resist watching some old videos as well. How did you celebrate these heritages this month? Editor’s Note: In the past we have celebrated many different heritage months. Here is a sampling of those posts …. Though the Conference is over … you can still participate by providing speaker feedback (if you attended) or purchasing access to live-streamed lectures or audio recorded sessions! If you attended the NGS 2016 Family History Conference in Ft. Lauderdale, Florida, thanks for doing so. We were delighted to see you and hoped you enjoyed the conference as much as we did. In all, 1,915 people participated in the conference. We hope the conference enhanced your research and analytical skills and provided you with more technological tools. Most important, we hope the knowledge that you gained will help you as you advance your research, analysis, and writing. We especially want to thank all the conference speakers. Their excellent presentations enabled NGS to deliver an outstanding program. If you have specific comments about a session, please provide feedback via the app or at http://app.core-apps.com/ngs2016 by going to the Events icon, locating your session, and tapping the clipboard icon on the side bar. Your comments help the Conference Committee plan and improve your next conference experience. Also, please take a few minutes to answer a brief survey at https://www.surveymonkey.com/r/NGS2016GEN. The closing date for both is 31 May 2016. You can still sign up for the on-demand presentations of the ten lectures recorded via live streaming from Playback Now. If you are interested or if you have a friend who missed the conference, the on-demand recordings will be available for viewing through 7 August 2016. The package includes a full downloadable version of the syllabus. The details and costs for the recordings are available at http://www.playbackngs.com/livestream-ngs-2016-family-history-conference. Audio recordings of more than 150 lectures are also available from Playback Now. See http://www.playbackngs.com/ for titles and prices. A number of awards were presented at the conference. Details about the 2016 awards and the recipients can be found at http://www.ngsgenealogy.org/cs/pressroom/press_releases. We encourage you or your society to enter the 2017 competitions and awards. Details about the awards and submission deadlines can be found at http://www.ngsgenealogy.org/cs/awards_competitions. We look forward to seeing you next year at the NGS 2017 Family History Conference in Raleigh, North Carolina, 10–13 May. Details will be available in the coming months on the NGS Family History Conference website at http://conference.ngsgenealogy.org/. Have you checked out James Tanner's series on Real Property? James Tanner, Genealogy’s Star, did a great series on real property last year. I’ve been looking for an opportunity to share his great series with you and I think now is the time. For many of us, researching land is one of the few ways to document our ancestors. Land was very valuable -- taxes were paid on it, houses built on it, improvements made on it, crops grown or livestock fed/housed on it, mills and blacksmith shops constructed on it, family members are buried on it, etc. What was the most interesting “new-to-you” fact or resource that you learned about? Online & FREE Masonic Records -- Are You Using These Wonderful Resources? As usual, the genesis for this post was “stumbling” across some neat records and then asking, as usual, are there more? Recently, 18th Century Minutes Books from the Grand Lodge of North Carolina (St. John’s Lodge No. 3, New Bern, NC) were placed on line. I also discovered that the same website (Digital NC) includes the Book of Marks from Raleigh Chapter No. 10 of Royal Arch Masons amongst other holdings. With a bit more searching, I also discovered Proceedings of the Grand Lodge of North Carolina for the years 1797-1820 with a few odd later years. Wow! There is already some useful information online regarding the Grand Lodge of North Carolina including a listing of lodges since its organization in 1787, The Beginnings of Freemasonry in North Carolina and Tennessee, Board of Custodians and Certified Lecturer Historical Overview 1902-2016, and more. Additionally, The Southern Historical Collection at UNC (Chapel Hill) has a Collection – Freemasons. Grand Lodge of North Carolina Records, circa 1790-1951. You can access the entire collection, for FREE, by visiting The Louis Round Wilson Special Collections Library or, some of the collection, volumes for Lodge 141 (Carolina Lodge, Anson County, Chartered 2 Dec 1851, Surrendered 15 Mar 1935), have been digitized and are available. As expected, Internet Archive (one of my favorite places to seek out historical information) has many resources for Masonic organizations around the world under “Grand Lodge” + Masons and “Grand Lodge” + Freemasonry. Many many lodge histories are to be found. Did you know that there is a Masonic Library & Museum Association? The website includes links to Masonic Libraries’ Catalog – it’s a work in progress. I found the website Mason Post.com helpful for identifying active lodges across the U.S.
And, Ancestry.com has the Worldwide Masonic Directory, 1860 where you can search the lodge membership for the stated year. Obviously, I could go on and on about searching for records of ancestors who might have been members of the Masons. Do you have ancestors who were Freemasons? What records have you found for them? Is there a real gem of a database that other family historians researching into Freemasonry might find helpful? FB Post-a-palooza Post NGS Conference ... lots of neat news you might have missed! While in FL for the NGS 2016 Family History Conference and then as I recovered (so much to do and many people to meet!) during the subsequent week, many interesting news items were suited to cross-posting on the NGS Facebook (FB) page. Here is a recap of some of what was posted. Have you “Liked” the NGS FB page? Besides having a link to every Upfront with NGS blog post, the NGS FB page feed is also chock full of news of interest to genealogists and family historians. Do check it out if you already haven’t. o Do you have Expired Credits with ScotlandsPeople? I did and until 22 May you can reactive such credits -- go tohttp://www.scotlandspeople.gov.uk/Content/Help/index.aspx…, visit the shopping basket page (you do NOT need to purchase anything) and put spring2016 in the voucher code box. The "life" of your credits will automatically be extended.